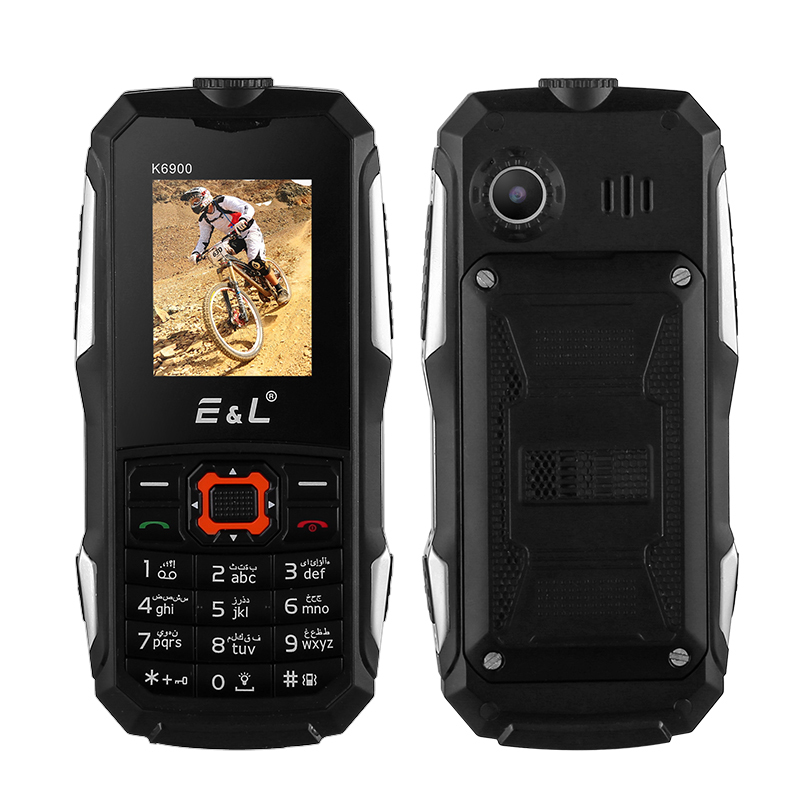 Successfully Added Rugged Cell Phone EL K6900 - IP68 Waterproof & Dustproof, Dual SIM, FM Radio, Bluetooth, Flashlight, 2000mAh Battery (Black) to your Shopping Cart. The EL K6900 is a rugged bar phone that has a rubberized outer with the secured back panel and rubber grommets protecting the battery space and ports has great protein against drops. It also has an IP68 rating so its impervious to date ingress and can withstand submersion in water. This makes it ideal for working outdoors or in tough environments. Phones really don't come much tougher than this and by keeping it simple you have a phone that can do all you want with greater protection and for a very affordable price. Supporting two SIM cards that each support GSM: 850/900/1800/1900MHz frequencies ensures you get comprehensive network coverage. You can use multiple network providers for better network coverage in to avoid roaming costs when you travel out of state or country. This will also help you get the optimum coverage in urban and suburban areas which are typically covered by different providers. A large 2000mAh battery brings plenty of usage times allowing you to go multiple days without recharging the phone. On standby, the phone can last for over 400 hours so even if there is nowhere to charge you won't be left stranded without a phone service. A built-in flashlight is a helpful addition if you're caught out a night or just need a guiding light. It's also a good way to attract attention at night. You can use the phone to listen to FM radio and with the addition of earphones in the package, you'll be all set to list to the local stations from the getgo. The phone has a particular loudspeaker which is very helpful if your working in a noisy environment or outdoors. This means you're unlikely to miss any incoming calls or notifications. The EL K6900 rugged cell phone comes with a 12 months warranty. Brought to you by the leader in electronic devices as well as wholesale rugged phones and cell phone accessories.